3D printers from 3D Systems Asia-Pacific have been used by designers and engineers to impressively communicate their design concepts under challenging deadlines. Recently, an Australian aircraft manufacturer used 3D printing technology from 3D Systems Asia-Pacific to create a scaled replica model of an innovative aircraft design for display at the Beijing aviation show. Seabird Aviation Australia designed and developed the aircraft ‘Seeker’, which is described as a cross between a helicopter and a glider, and has been purpose-built for surveillance and patrol operations. 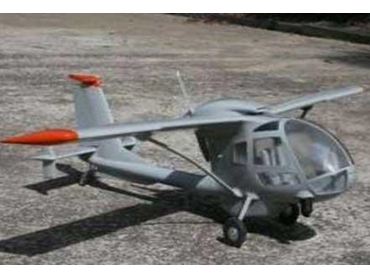 3D Systems Asia-Pacific utilised SLA (stereolithography) technology to create a scaled replica model of the Seeker for Seabird to display at Asia's largest aviation show in Beijing, China. SLA can create compelling presentation models that allow things to be made geometrically, which would be difficult to achieve using other manufacturing processes. Seabird supplied data for a full-scale aircraft over 11 metres long, which was re-sized to 1 metre in width, following which sub sections were built on five platforms, assembled and painted to be finished in a matter of days. At the aviation exhibition, Seabird's 3D model provided visitors with a clear and concise view of the intended design. Seabird Aviation has experienced export success by being the first aircraft purchased for the reformed Iraqi Air Force. The Seeker is now operational in Australia, USA, Middle East and Africa. 3D printers offer companies a distinct competitive advantage, whether it is used as a communication tool to assist in winning multi-million dollar contracts or in a design validation process to reduce product development costs.